When a new pipeline is proposed, the rhetoric for or against the project can become heated and contradictory. The findings of the environmental assessment allow the pipeline company to tailor their plans to mitigate and minimize their impacts. The National Energy Board (NEB) employs approximately 75 environmental specialists, socio-economic specialists, land specialists and engagement specialists to help ensure that pipeline construction and operations are safe for the environment. Much of the debate about pipelines stems from the belief that blocking pipelines will force people to turn to alternative fuel sources. We are forced to purchase refined products from overseas – from countries with much less stringent regulations and standards than Canada’s. More oil and gas is transported via rail or road, alternatives which have a higher carbon footprint and a lower safety record than pipelines. There are several different types of pipelines, but they can be divided into two primary categories. Gathering and distribution lines are those used by extraction or production companies to transport product from one place to the next. 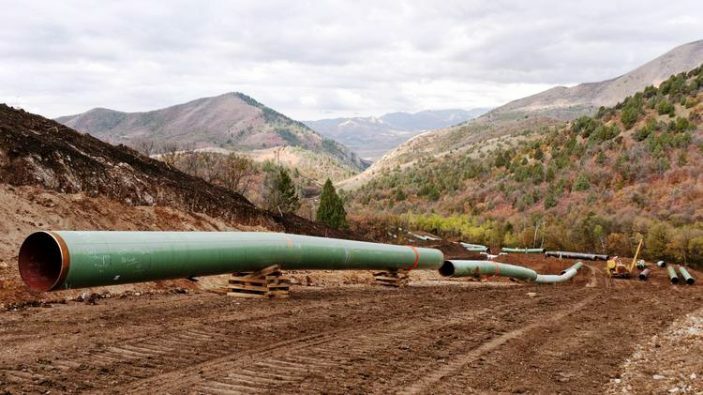 Transmission pipelines are the large diameter pipelines used to transport oil or gas large distances, across provinces, or across provincial or national boundaries. The pipelines around which much of the debate rages are the long-distance transmission lines, and yet these are among the safest. For a transmission pipeline company, pipelines are their primary business, not a tool. They have a high level of expertise and use up-to-the-minute technology to keep their pipelines safe, because their operations, and their profitability, depend on that safety. In 2017, Canada’s transmission pipeline companies transported 1.4 billion barrels of crude oil. Of those, a total of just 51 barrels were lost to spills or leaks. You can learn more about pipelines and the environment from the Canadian Energy Pipeline Association and at aboutpipelines.com.